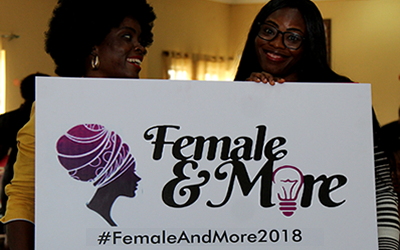 Female And More (FAM) is a self-esteem and leadership initiative of Youngstars Foundation that is increasing females’ self-esteem, promoting women equity and harnessing females’ innate leadership capabilities in order for women to reach their fullest leadership potentials in any chosen field of endeavor. The project uses its 30 days self esteem and leadership handbook containing inspiring stories of 30 African young and adult women who defied social barriers and stereotypes to achieve greatness. FAM has the secondary school version targeting teenage girls and the digital edition targeting adult females out of secondary school, aged 18 years and above. To mark the 2019 International Women’s Day, Youngstars and its partners are implementing a digital edition of FAM for thousands of females aged 18 and above to participate in the 30 days’ self esteem module and SDG leadership challenge. 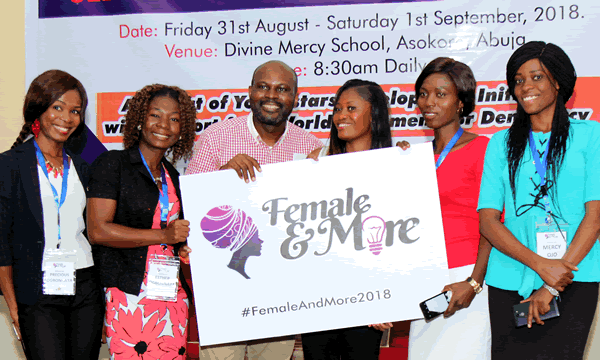 Connecting and empowering females to self-belief, imagine greatness and pursue their highest leadership potentials in any chosen field of endeavor. Help millions of females in Africa overcome low self-esteem and inhibitive social narratives through self-esteem building. 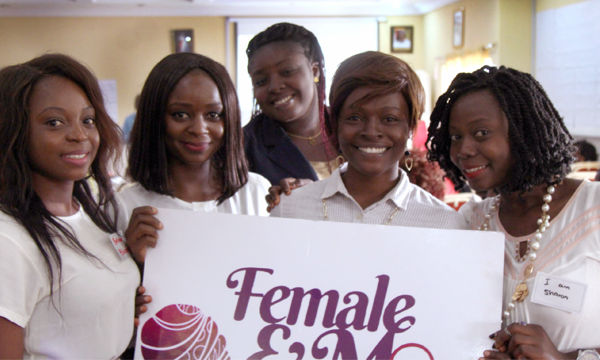 Harness women leadership and innovation potentials through female-led change projects. Foster gender equity and women contributions towards achieving the UN Sustainable Development Goals. Facilitate peer support, networking and role modeling among young females and their older counterparts. Interested females would sign up for the 30 days Female And More self esteem online module, containing 30 stories of iconic African women. Each participant will read 1 female story per day and share their key lessons. To complete the 30-day program and receive their certificates, each participant would write and submit a personal high end goal she will achieve within 5-10 years. The next phase which is optional, is after completing the 30-day module, one is eligible to participate in a personal leadership development challenge by initiating an activity to address a female angle of any of the United Nations Sustainable Development Goals (SDGs). The Round table - During the 4th week of the 30 days program, every participant is expected to host a Round-table or hangout with their friends and contacts to share how the 30 days program has positively impacted them and to encourage them to sign up for the next edition. The Round table must have atleast 10 persons in attendance, can be hosted in one's house, office, a garden, eatery or suitable location. It should last between an hour to 2 hours at most. A guideline for hosting the Round table will be shared in due course. Winners of the outstanding SDG project would win FAM Leadership Award which will include an all expense paid 5 days international learning visit. FAM is an exciting, elevating and enriching innovative program for females passionate about pursuing and achieving a great future. If you are reading this, you are one of such, congratulations! 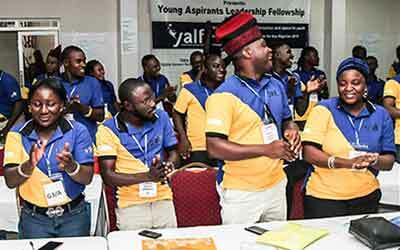 To learn more about the program and how to effectively participate, kindly email askfam@youngstarsfoundation.org or call +234 703 5535 876. 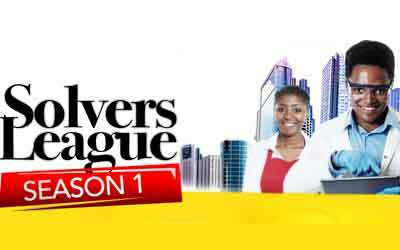 The Project in 2017 was implemented in 40 schools across 30 states in Nigeria reaching over 947 young females by 40 Volunteers / Enablers. The Project in 2018 was implemented in 90 schools across 27 states in Nigeria reaching over 2,200 young females by 85 Volunteers / Enablers.